Mechanical engineer, PhD, since 2000 he works in R&D in the fields of numerical and experimental fluid dynamics. He has been working in the world of sports competitions, ranging from America’s Cup to Formula 1; he was part of the Mascalzone Latino design team, he collaborated with Ferrari and Minardi F1 teams. 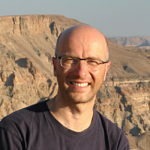 Since 2003, he combines the professional activity with teaching and research within the Applied Physics Group at DIEF. (Dipartimento Ingegneria “Enzo Ferrari”, Modena). He taught as assistant professor for Applied ThermoFluid Dynamics courses, and at the U.I.T. 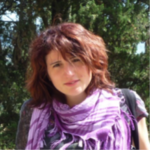 Summer School (Unione Italiana Termofluidodinamica); author of several publications in national and international journals, is co-author of the book “Fondamenti di termofluidodinamica computazionale” by G. Comini. Technical Expert for I.T.S. 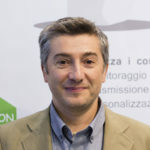 (Istituto Tecnico Superiore) Emilia Romagna educational program, since 2009 he is project manager of the Tunnel Monte Bianco ventilation research project. Co-founder and CEO of mimesis s.r.l., he is also co-founder of WeCity s.r.l., a spinoff company focused on sustainable mobility. mechanical engineer and PhD in Advanced Mechanics and Automotive Design and Technology, since 2005 he carries out basic and applied research within the Applied Physics group at DIEF, in the field of numerical and experimental fluid dynamics. He is teaching assistant for courses in Thermofluid Dynamics and Applied Physics and supervisor of several Bachelor and Master thesis. He is author of several publications on national and international journals. He participated in several research projects at national and European level, mainly concerning thermO-hydraulics of energy production systems. 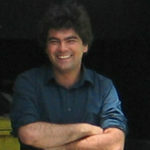 He has worked with several European research centres such as CERN (European Organization for Nuclear Research) and is currently involved, for DIEF, in the European project THINS (Thermal-Hydraulics of Innovative Nuclear Systems), the national research project PROTHERM, and in the Mont Blanc Tunnel research project. Mechanical engineer and PhD in Advanced Mechanics and Automotive Design and Technology, he worked at Sunpower Inc. (USA) in the field of stirling machines design. From 2005 he works as a research fellow at DIEF in the Applied Physics group, dealing with heat transfer, combustion phenomena, cooling in electronics, and fluid dynamics in general. He collaborates on a bioengineering research project with Brunel University (UK) where he has been appointed visiting research fellow. He also collaborates with the MilleChili Lab, a research project on automotive structural optimization between DIEF and Ferrari SpA. He deals with optimization techniques and loves to apply them to industrial problems of any kind. He is author of a book on the topic published by Springer in 2013. He is teaching assistant for the Applied Physics and the Thermofluid Dynamics courses, and he also holds courses and seminars on optimization methods in Master and PhD schools. He is author of several publications on national and international journals. Elisabetta Salerno, physicist and PhD in High Mechanics and Automotive Design and Technology (2015). In 2011 she joined the Applied Physics group at DIEF, where she currently works as a research associate. Her activities are mainly centred on experimental techniques for fluid and thermofluid dynamics. She has developed a deep experience in imaging techniques, spacing from P.I.V. (Particle Image Velocimetry) to flow viz. Her recent activities are focused on filling processes and liquid foams formation for food and beverage industry. 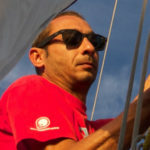 Electric engineer, he developed his professional experience throughout the design of electric vehicles, spacing from bikes and tricycles to 14 tons buses, to 23 meters hybrid yachts. He acquired proficiency in implementing any available battery technology: (Ni-Cd, Ni-MH, Ni-NaCl, Li-Po, Li-FeSO4). He has professional connections with the major producers of propulsion systems, lithium batteries and E-automotive subsystems and components in Korea, China and United States. He collaborates with some of the leading manufacturers and contractors of electric vehicles in Europe. 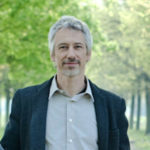 He has active collaborations with research institutes and universities, including the University of Modena and Reggio Emilia, the University of Bologna and the University of Ferrara. He is keen about connected stuff, but without wires. mechanical engineer, he has worked since 2007 as a freelance in the field of energy, and in particular in the design, construction sites management and testing of renewable energy plants, and energy consultancy for the public agency. During his professional activity, he served as Head of the Energy service of the Province of Reggio Emilia, focusing on planning, legislation, tax incentives, energy efficiency of buildings, and coordination of European projects. He worked on high efficiency electric drives and transmission for Rossi Motoriduttori S.p.A., and also dealt with plant design in the biomedical field. He is co-founder and CEO of WeCity s.r.l.